When we decided to put a new face on Disqus.com, we knew we wanted to show some love to the sites that use Disqus and use it well. Destructoid was an obvious match. Destructoid isn’t your average gaming site (in the past they’ve been described as “the ‘uncle that tells dirty jokes to kids’ kind of gaming site”), and one of the things that sets them apart is their unique and vibrant community. 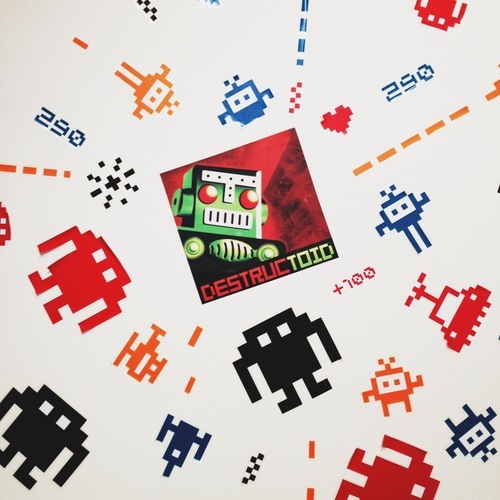 Niero Gonzalez is the founder of Destructoid and started the site in 2006 as his personal blog. Niero and his team of writers and developers work from all around the world: San Francisco, Miami, Singapore, Tokyo — basically, any place with an internet connection, or access to the latest gaming rumors. We visited Niero at his developer and community manager’s apartment, in the Mission in San Francisco, to film the video currently featured on our new website. 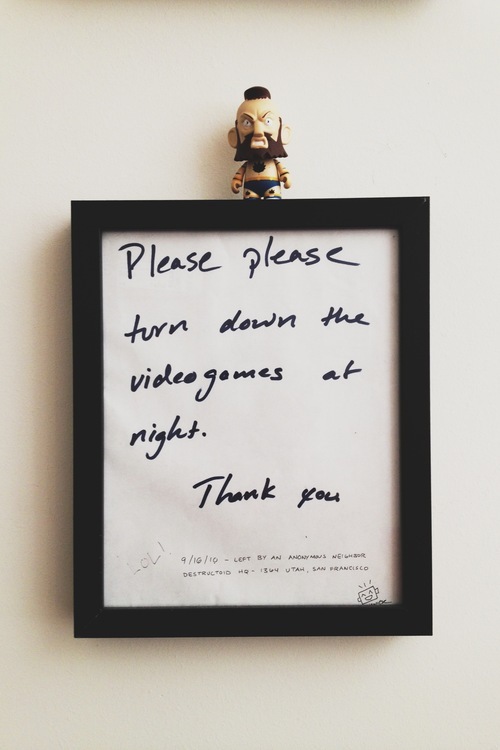 I’m not sure the apartment actually has an official name, but I’m partial to the title “Gamer Cave.” The twelve-year-old version of yourself (and maybe the current version of yourself, depending how much you love video games) would spit up his Capri Sun upon entering the apartment. Inside, it pretty much looks like a video game exploded. Hidden around the apartment are robot heads in every size and material (in honor of Mr. Destructoid, himself, the site’s mascot), perhaps the largest bean bag on the planet, Webby awards and gaming conference photos on every wall, and a unicycle that peeks down from above the refrigerator. I didn’t quite know what to expect before meeting Niero — I had certain expectations for what the father of a “gaming site for gamers, by gamers” would be like. Turns out, it’s sort of impossible not to like the guy. He’s totally down-to-earth, friendly, with a cutting sense of humor and a slight accent. When he took two shots of tequila before we started filming the video, and invited us to join (at 12:30 in the afternoon), it was clear this was a guy who knew not to take things too seriously. So what’s next? They will be closely following the PlayStation 4 and Xbox One news, hands-on, from upcoming trade shows in San Diego, Seattle, Germany, and Japan. If the latest gaming news is your cup of tea (or Red Bull), don’t be afraid to join the Destructoid community and leave your thoughts in the comments. 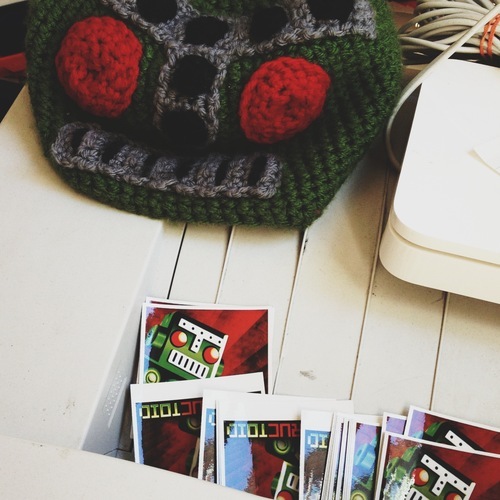 And when we asked Niero about the future of Destructoid, his answer was simple: they want to take over the world. Neighbors, you’ve been warned.